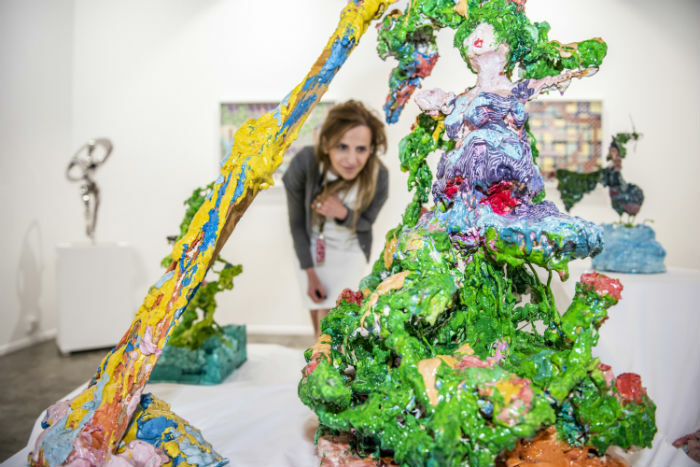 Art Dubai will take place between March 21-23rd, and there’s plenty to get stuck into. 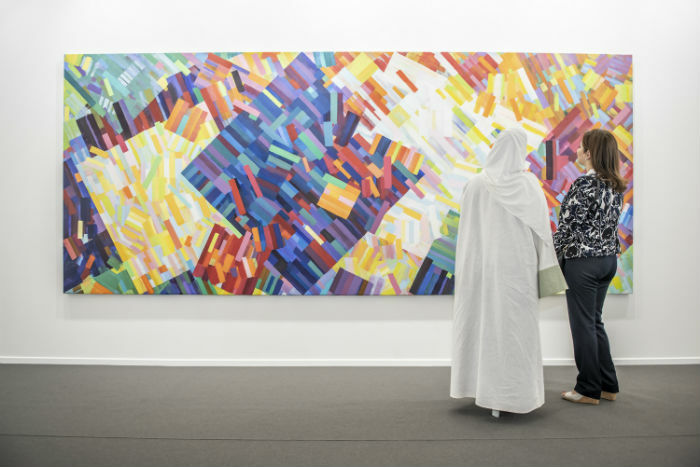 In its 13th year in the emirate, Art Dubai is only getting bigger and better. Taking place at Madinat Jumeirah, there are over 92 galleries, work from 500 artists, a series of thought-provoking talks and numerous workshops. Here are some of the ways to enjoy and get the most out of the event. This year for Art Dubai, there are over 92 galleries from 42 countries exhibiting artworks across four gallery sections, meaning you won’t be hard up on creative expression to pore over and take inspiration from. But if you need help breaking down what you want to get to, then here’s a little help. This year, there will be several main ‘zones’ – Contemporary, Modern, Residents and Bawwaba. The first will be the largest of the exhibitions and will showcase work from the last ten years. The collection with showcase works from all over the world, aiming to show the links that can be seen in the global art zeitgeist. The Modern Zone, however, will look at work from mid-twentieth century. This year will be the second edition of the Resident section, and for 2019 it will be dedicated to Latin America, and was curated by both Emirati Munira Al Sayegh and Brazilian Fernanda Brenner. The newest edition is the Bawwaba Zone (which means gateway in Arabic) will explore the work of just ten artists with work that’s all be created in the last year. While art might be a visual medium, that doesn’t mean the ears don’t deserve a treat, too. There’s a long list of special talks to peer over, but there is one we are particularly looking forward. On Friday, March 22 from 2pm the ‘Ithra Art Prize 2019, Daniah Al Saleh’ talk will take place a the Julius Baer Lounge. The conversation will centre around the prize itself and its aims to fund, promote and offer Saudi artists a global platform which will feature the 2019 winning artist Daniah Al Saleh. Throughout the weekend, there will also be conversations such as Global Art Forum: Swamp Is a School? and Global Art Forum: Artificial Intelligence, Real Education? A Taxonomy. Whether you’re a budding artist keen to explore new techniques and mediums, a newcomer ready for a challenge or a parent wanting to keep little ones busy, there are plenty of interactive workshops to take part in over the three days. 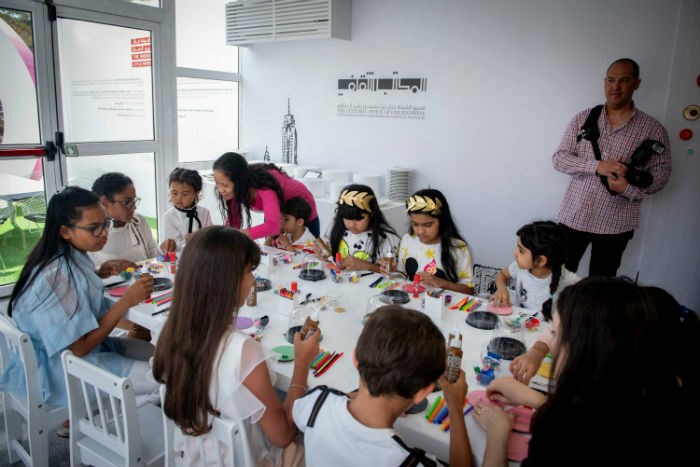 Some of these include the Creating New Worlds: Sheikha Manal Little Artists Workshop. Elsewhere, there are other interaction moments and installations taking place across the event to give it further depth. Watch Muted Situation #2: Muted Lion Dance by artist Samson Young primarily working in the medium of sound performance, and check out Art Dubai After Dark which is a music programme. 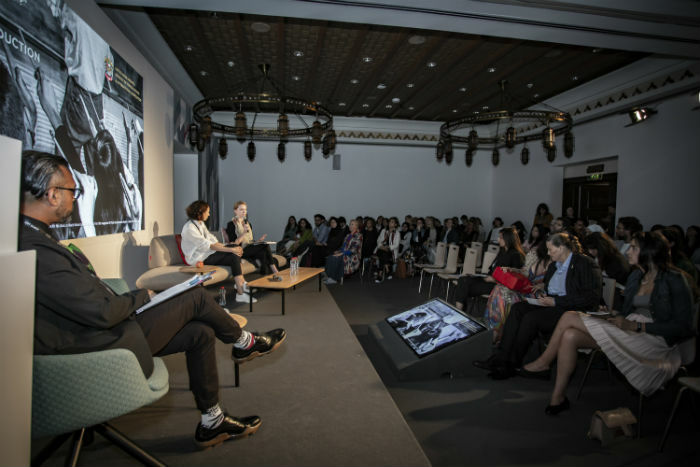 For Thursday night, the programme will be presenting Female first session which will showcase talents both within the Middle East and abroad.